Invisalign is an orthodontic treatment that discretely corrects crooked and crowded teeth in teenagers and adults. This modern alternative to traditional braces includes a series of clear aligner trays. Patients wear these trays at all times, except for meals and when brushing or flossing. The dentist custom fits the trays to your unique teeth, rendering them virtually invisible. Each tray in the series is slightly more advanced than its predecessor, slowly crafting the desired results. 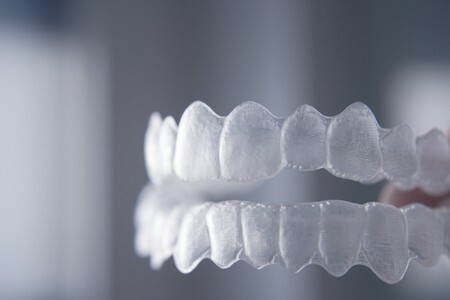 The aligners put slight resistance onto the teeth, pushing them into alignment over time. With Invisalign, adults and teens are able to achieve the smiles of their dreams without having to feel self-conscious about the treatment method. Wearing Invisalign is significantly less restrictive than traditional braces. Patients often choose Invisalign not just because it is relatively discreet, but also because you do not need to alter your diet to avoid certain foods (as is common with traditional braces). Fortunately, the Invisalign system does not rely on braces and brackets. Instead, patients use removable tray that are removed prior to meals. There is no need for frequent visits to the dentist for wire tightening, so this treatment method is generally a better fit for demanding adult schedules. You simply change to a new aligner tray every couple of weeks, instead. 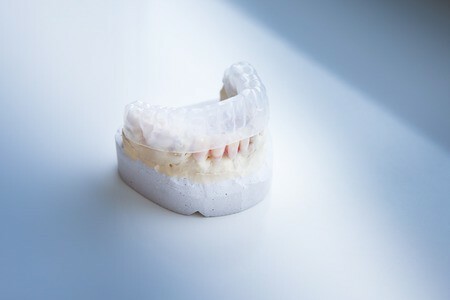 If your crooked or crowded teeth are embarrassing or prohibiting you from achieving your optimal oral health, Invisalign may well be your ideal solution. Visit our office in Ahwatukee for a complete consultation to learn more about clear braces and if Invisalign is right for you. 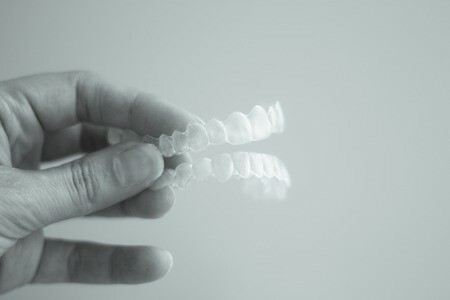 Patients must wear their clear aligners almost all of the time (all the time, except for meals, brushing and flossing). Invisalign treatment plans will vary from person to person, but most patients achieve their ideal smiles between one and two years. During the treatment period, you will occasionally visit your dentist for a professional evaluation. Once treatment is complete, you can stop wearing Invisalign trays. However, patients should continue to wear a retainer every day to help protect your new smile. You should also continue to visit your dentist for regular check-ups and professional cleanings.